The caption above was the reward for the author’s membership as a Lean Team leader for a Lean Event. 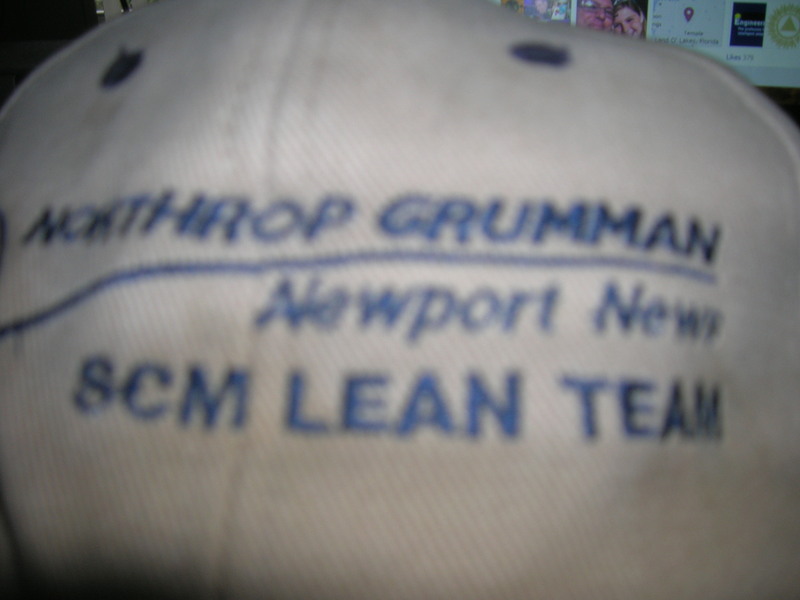 Lean training was held at Old Dominion University and then those of us trained were expected to take an issue and solve it using the training in Lean Manufacturing that we had practiced. Individual employee empowerment was a concept sweeping the manufacturing and service industries with quality programs such as Lean Manufacturing and Six Sigma. As global competition forces many business to find ways to become more efficient, many companies have decided to adopt business models which more successful businesses have already created. Quality History review with regards to empowered workers, short version. 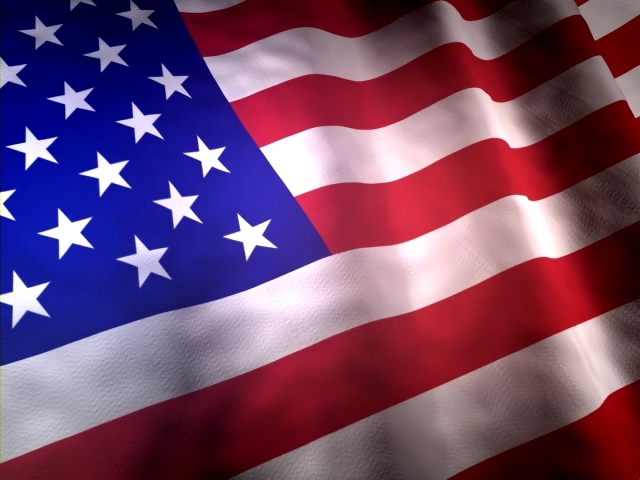 Quality history is credited with starting in America with Dr. W. Edwards Deming (1900-1993). He was influential in assisting American War Manufacturing during WWII with his statistical concepts as applied to production. After WWII, he tried unsuccessfully to bring the benefits of his statistical quality applications to American manufacturers. When this effort failed in America, he was asked to bring the concepts to the aid of the war-defeated country of Japan by Douglas MacArthur in 1950. The Japanese had already employed many of the production inspirations from Henry Ford, who unknowingly had innovative elements in his production line, which later became the first stirrings of Lean Manufacturing. Dr. Deming was asked by his friend General MacArthur to teach the Japanese his statistical quality methods. Deming was inspired during his lecturing to the heads of Japanese businesses in 1950, and he made this now-famous prediction: If the Japanese learned and adopted his quality systems, they would become an exporting nation within five years, and be well on the way to producing the world’s highest quality and most in-demand products. America did not “rediscover” Dr. Deming’s methods until the 1980’s, when Dr. Deming was also in his eighties. This gap in management decision making to address quality gave the Japanese manufacturers about 30 years of quality culture and learning over the less efficient American manufacturing methods. For the automotive competitors outside of America this was a tremendous advantage. As a testament to how influential Dr. Deming was a US News & World Report cover story named Deming’s contribution to the world as one of only nine “Hidden Turning Points in World History,” along with events like Columbus’ discovery of America, and Napoleon’s conquest of Europe. Dr. Deming eventually created his famous 14 principles of management. Principle number 14 is to “involve everybody” in the process of manufacturing. This point was eventually modified with some others and became the empowered employee principle. The idea was to push down the level of responsibility for decisions to the very lowest rank of workers possible. In the military while I was in during the 1990′s, Total Quality Leadership (TQL), a version of the famous quality program Total Quality Management making the rounds in the civilian world was introduced onto ships and other commands in the US Navy. The program was very popular with enlisted personnel, including yours truly who was trained in the new methods and procedures. However, the program were a complete failure. Unfortunately, senior Naval Officers saw the empowerment of enlisted as a threat to their authority, which was simply not true. On my ship the whole program never got serious consideration and we were never allowed to make our recommendations to the chain of command. It is my understanding from talking to other enlisted personnel that other commanders felt the same way. I never heard of a successful TQL project, but their may have been an isolated case that actually produced results. Updated news, today’s US Navy has embraced Six Sigma and has been training Black Belts for a few years now. This is due to forced budget cuts and other economic factors. This progressive attitude was only possible by the complete change of attitude by the senior management that previously failed to sell the concept properly. Empowered employees in Lean Manufacturing environment for instance like at the old Saturn Plant, a division of General Motors was given the rare (for GM) authority to stop the production line if they found a defect, authority that was preceded in Japan by many years for empowered employees. American manufacturing had some catching up to do if they wanted to be competitive. GM has not been able to keep the company and Saturn was dismantled as a company when GM entered into corporate restructuring when it accepted a US Government financial investment. Other GM divisions were also dismantled. Toyota Motor Company has been the leader in Lean Manufacturing for many years now. The techniques, which have employee empowerment at the forefront and evolved into Lean Manufacturing were in the past called The Toyota Way and have been part of the car company culture for over 50 years now. According to many business publications Toyota is poised to take over as the world sales leader from GM. This is an incredible achievement for a car company physically located outside its main markets of North America and Europe. The Toyota Method in quality, which evolved into Lean Manufacturing was truly ahead of its time. From a quality perspective Toyota is one of the leaders in the field and continues to use Lean Manufacturing continuous process improvement techniques. US car companies have demonstrated a dedication to quality in the last two decades or so but they seem to be reluctant to fully engage the total package of quality techniques like Toyota has. Toyota has empowered employees, source suppliers, and many other stakeholders within the support structure needed to produce their products. This one act of empowerment is so powerful that it is still considered a vital portion of the continuous process improvement program, even after so many years. Just-in-time is a concept which has resulted from partnerships with suppliers and is supported by empowered employees of both groups, suppliers and production workers. The idea is that very little inventory is held on the plant site, rather the supplier takes on the burden of keeping the supply bins or areas properly stocked with just the right amount of product and at just the right time for production needs. Obviously this concept needs a supplier who is highly involved in the production and forecasting of the plants needs and supplies. Suppliers become partners in this procedure, with supplier employees taking on even more responsibility for the product distribution, in essence they become empowered employees for the production plant even though they work for the supplier. The bottom line is that Lean Manufacturing works very efficiently. Employee empowerment is one core concept of this quality method, which was first articulated by a small town boy from Sioux City, Iowa named W. Edwards Deming and then recognized by his friend who had a serious need for experts to help rebuild Japan, General Douglas MacArthur. Just in time and other associated business concepts will not be needed by the empowered volunteer. It is only mentioned to show how revolutionary this concept of Lean Manufacturing really is. So is the empowered volunteer within volunteer groups. As a side note, General MacArthur was a Freemason, as was Henry Ford. Dr. Deming belonged to the American Society of Quality (ASQ). However, all of these people understood the value of the empowered employee, and a volunteer is an unpaid employee who can also become empowered. I simply want to mention I’m all new to blogging and absolutely enjoyed your blog. Almost certainly I’m going to bookmark your site . You really come with awesome well written articles. Bless you for revealing your blog site. Welcome! Please share any worthy posts with with your social media of choice. Thanks for stopping by and return often please! Wow! This site is sick. How do you make it look this good ? Lots of work in researching the topics and then trying to write them so that google likes them enough to grant me rankings. Still learning that part. Oh yeah, recently learned that massive deletes for spammers is powerful tool. Welcome! Do you have a spam problem on this website; I also am a blogger, and I was questioning your scenario; weve created some good approaches and we are looking to trade options with other folks, be sure to shoot me an e-mail if planning to pursue. Thanks but I lost a week to those people so I am not in that mode right now. Several people have offered as you have. I am behind on this blog and my other one now in posts and timing of the information I was planning. I have my computer partner who has some answers, some plugins are available when we sort things out for which one is which and best for me, and my delete button is working fine. I was just late in dealing with the spam, pure and simple. Right now I need to just get some posts caught up and hopefully drive some humans to this site so we can grow! Welcome and return often. Hey, I just hopped over to your webpage via StumbleUpon. Not somthing I would usually browse, but I liked your thoughts none the less. Thank you for making something worthy of browsing. You are welcome and welcome to the site! I tried several, played with the color and layout, and finally settled on this. Welcome and enjoy. I hope you like the topic as much as the site! Mate. This blog is awesome! How do you make it look this good . I research the topic continuously for data and experts to support what I have lived and done most of my life through experience as to what works and what is unworthy from the volunteers point of view. Blog is wordperfect. Welcome and enjoy! This blog site has a lot of really helpful info on it. Thank you for informing me! I just posted today. Have you digested the 30 plus posts already? I have two topics in mind. Not sure how the research will go as to which one will surface first. This site has a lot of very useful stuff on it! Cheers for helping me! I like that blog layout ! How do you make it. Its very nice! After I start your Rss feed it seems to be a lot of junk, is the problem on my part? No, it is under repair. Went through free themes until we found one that worked. Im having a small problem. I cant get my reader to pickup your rss feed, Im using msn reader by the way. RSS button is removed, RSS comment feeder is out right now. Sorry. After I open up your Rss feed it seems to be a ton of nonsense, is the issue on my side? RSS button at the top of the page is removed currently. The RSS comment feed at the bottom of the post is disabled for the near future. This website has a lot of really helpful information on it! Thanks for helping me! Hey there, I just hopped over to your webpage using StumbleUpon. Not somthing I might usually read, but I liked your views none the less. Thank you for making something well worth browsing. This site has some extremely helpful info on it. Thanks for helping me. I am glad you found the information useful. Welcome. This site has got a lot of very helpful stuff on it! Thanks for helping me. Amazing article, thank you, I will visit again soon. An cool blog post right there mate . Thanks for posting . Just discovered this site through Google, what a way to brighten up my year! I like the website layout . How was it made!? It is rather nice! They are called “spam” for a reason. Making sense is not a requirement and I did not sort them all from the real humans as well as I should. I am sorting much better now. Thousands are rejected automatically every day now. I adore this blog site layout . How do you make it? Its rather nice. This blog is pretty cool! How did you make it ! Hello, I just hopped over to your website thru StumbleUpon. Not somthing I would usually browse, but I liked your views none the less. Thanks for making something well worth browsing. Fantastic Stuff, do you currently have a youtube account? Is it okay to put a portion of this in my web site if I submit a reference to this web-site? Awesome post ! Thank you for, commenting on this blog dude! Ill message you again! I did not know that. How did you make a blog site look this sick. Email me if you want and share your wisdom. ! Hello, I just hopped over to your web site thru StumbleUpon. Not somthing I might typically browse, but I enjoyed your views none the less. Thanks for making something well worth browsing. I like the website layout ! How was it made? It is very good! This site has got lots of very helpful stuff on it! Thanks for sharing it with me. Cool post . Thank you for, writing on this blog page mate. Ill message you again. I did not know that! Dude. This website is sick. How did you make it look like this !? Just discovered this site thru Google, what a pleasant shock! Hello, I just hopped over to your website through StumbleUpon. Not somthing I might generally read, but I liked your views none the less. Thanks for creating some thing worthy of browsing. Is it fine to insert part of this on my personal webpage if I post a reference to this website? This blog site is very cool. How can I make one like this ! I Am Going To have to come back again when my course load lets up – nevertheless I am getting your Feed so i can go through your blog offline. Thanks. I love the blog layout . How did you make it. It is rather cool! Wanted to drop a comment and let you know your Rss feed isnt functioning today. I tried including it to my Google reader account but got nothing. Is it alright to put a portion of this in my web site if I post a reference to this web page?